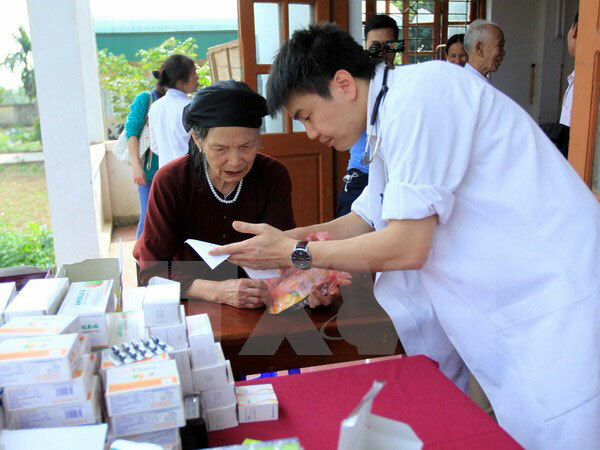 As many as 78 young doctors have been recruited for a pilot project on sending doctors to disadvantaged areas including mountainous and border areas and islands as of June, the Health Ministry said at a press conference in Hanoi on June 22. The doctors will receive intensive training before being assigned to work in 37 poor districts in 13 provinces. The Healthy Ministry will hold a ceremony on June 28 to send seven young doctors to Bac Ha district, the northern mountainous province of Lao Cai. The pilot project, approved by the Health Ministry in 2013, gives priority to 62 poorest districts, towards improving medical services at the grassroots level. Head of the Organisation and Personnel Department Pham Van Tac said those poor districts need about 600 doctors. The ministry has partnered with the Hanoi Medical University to devise framework and detailed training curricula for doctors trained under the project. Pham Van Tac said the project will continue working with hospitals to recruit qualified doctors for the project./.